And in the last two weeks 1250 people died in the heat wave in Pakistan, and 65,000 people were treated for heat stroke. That came shortly after one of the worst ever heat waves in India, which killed more than 2,300 people. Extreme heat is one of the facets of climate change that we'll see more and more of. I see that Alaska is burning up, too. This image taken last week shows how bad it is. We had some rain the past couple of days, but the smoke is rolling back in. I'll bring the hotdogs if your PM will come. Actually if your fire services are not really prepared for forest fires that looks nasty. Something like that, especially with pine, would be a considerable challenge in my part of Canada but we could pull a waterbomber from up north if we really needed it. At what point do the motivated reasoning, partisanship, and ideological biases that are present in all of us to one degree or another cross the threshold into what can only be described as a form of mental illness? Future psychologists and sociologists will find WUWT to be a productive source of research material. What's this about *future* psychologists and sociologists? They're already studying WUWT right now! Hold on a moment; an alternative explanation just occurred to me. None of those places are Washington, DC, therefore there is no global warming. Along with Alaska, the Canadian territory of Yukon, and the provinces of Alberta and Saskatchewan are in drought conditions and burning merrily away. It appears that Saskatchewan is worst hit with 100+ fires burning in the northern part of the province and somewhere between 2000 and 3000 evacuees with possibly more to come. If these numbers don't seem many I'd guess population density up there is about 1 person / sq km. I heard one report today saying smoke had reached Tennessee. Firefighting planes have been grounded due to poor visibility. One official says the yearly firefighting budget has been exhausted. The fire season, IIRC has not begun. Prime Minister Steven Harper was one of the two PMs, Japan's Shinzō Abe being the other who watered down the Group of Seven's climate resolution. The smoke reached the Atlantic earlier on Wednesday. God's vengeance on the UK for allowing gay marriage. When it's hot, London is worst place to be..... except for Paris. I was in both places during Wimbledon 2009 ( for Springsteen's Hyde Park gig, not the tennis). It hit 33 C and there was no escape. Everybody in London had sun burn. 37C must be utter hell. I lived in London for a summer in the 1970s, and came back to Australia pale as a ghost. I was aghast at my co-workers complaining about the heat wave when the thermometer hit 80F (27C), the first bit of spring-like weather of the summer back then. Times are changing. Better be careful that Spangled Drongo doesn't come to 'correct' you about cyclones Sou... Although I doubt that he would - he's scared of girls. Another miracle from St. Willard of Chico: Watts so hot about 100 in the Seattle 'burbs? 112-99 = 13, not 23, Russell. Yes, Denierville has been quiet about the record high temps. Just the usual scratching around for Ad Hominems and conspiracy theories. Sooner or later it will occur to them to blame the El Nino, PDO, AMO or something. They are probably being distracted by some slight variation in a very small component of Antarctic ice aka Fluffy the Antarctic Sea Ice Squirrel. Whilst you did explicitly nominate July - TC Ida was a June TC in the same region in 1972 - which is satellite era. The other notable system was in June 1958. In both of these years El Nino - like oceanic conditions prevailed. Those are all of the east coast. I know there've been some off WA, too. Those systems are all east coast lows - cold cored "baroclinic" systems associated with strong upper level jets. 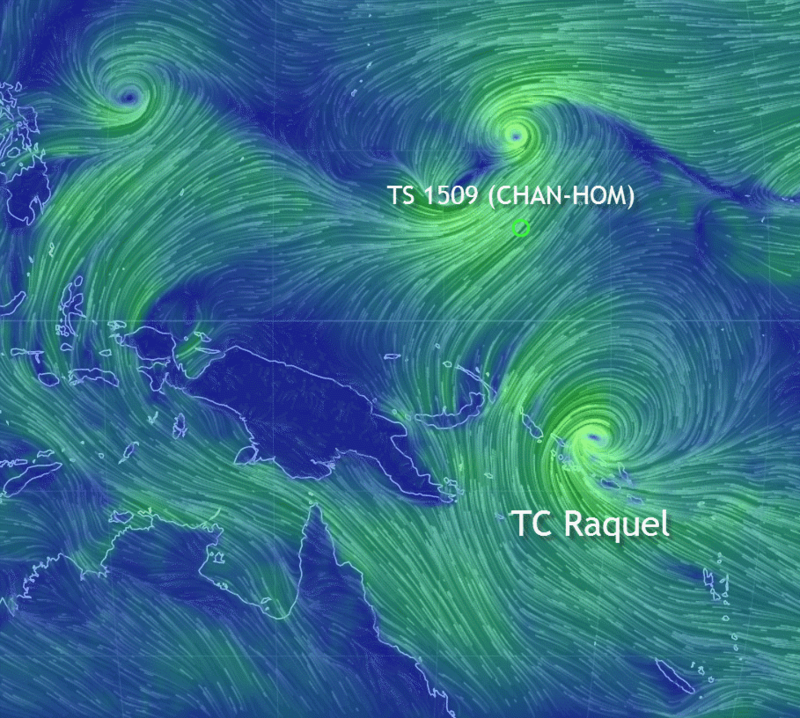 The only thing they share with tropical cyclones is that they are wet and windy.Warwick Hughes is going off on his blog - claiming that BoM has somehow forgotten these systems - but Warwick should learn some meteorology first! Okay - that makes sense. One of them even brought the first recorded snow to the tropics in that region.